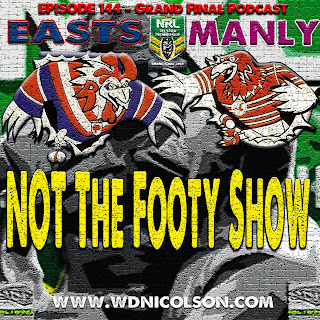 This is it - Easts v Manly in The Decider! NOT The Footy Show brings you Waz and DC's in-depth analysis and predictions for the game plus short sharp GF interviews with Anthony Watmough, Jorge Taufua, Brenton Lawrence, Jamie Buhrer, Peta Hiku, Steven Matai and a cameo from someone who may be a late starter in the big one - Joe Galuvao! And we threw part of the James Maloney interview we did for Episode 143 in to level things out for Roosters' fans. Plus we do our popular audio highlights compilations of how these teams got to the GF and Joey G's special Word Association breakdown of his Grand Final Team-mates! 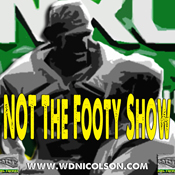 Enjoy but NOT The Footy Show's cameo is not over yet, we'll be back on Monday with a GF Review show.